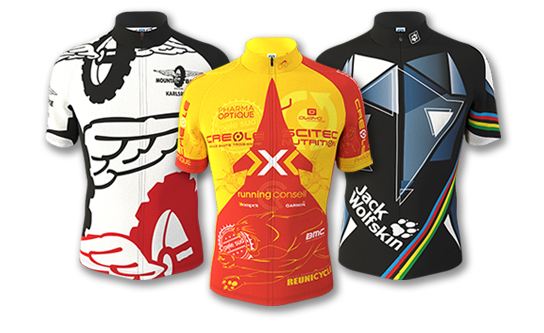 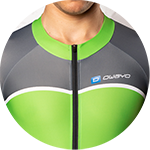 Whether for time trials or the velodrome, the cut of the skinsuit has been so purposely adapted to the riding position, that you almost need to open the zipper when standing upright. 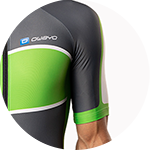 The CT7 Epic skin suits seeks to maximize aerodynamics - its athletic top to bottom tight fit were designed to keep wind resistance at a minimum while providing the best possible comfort. 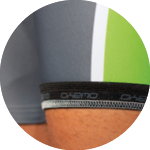 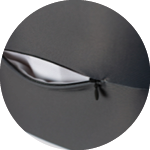 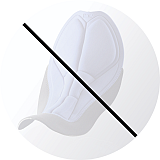 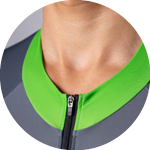 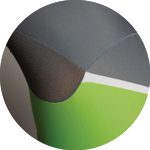 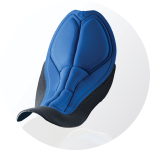 The OFIT sizing system allows for 15 numbered sizes, allowing each cyclist to find the perfect size.